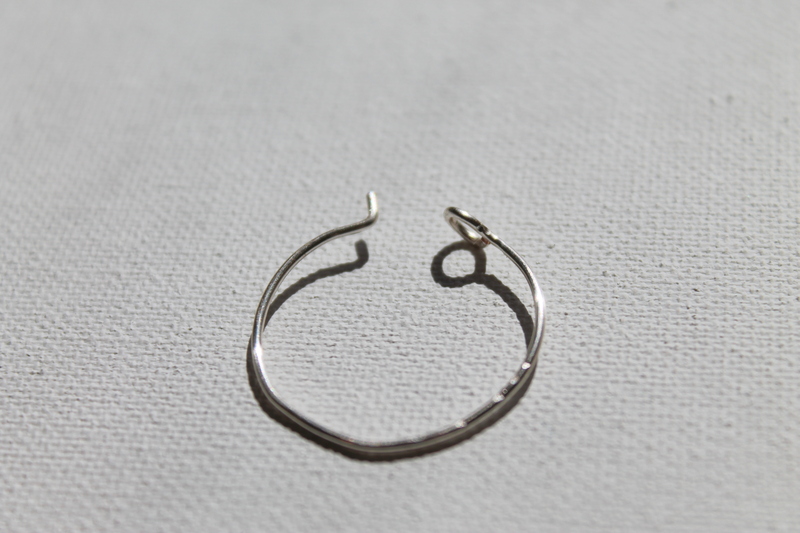 In Wire Wrapping For Beginners, I have a pair of earrings that are Hoops with a Dangle. 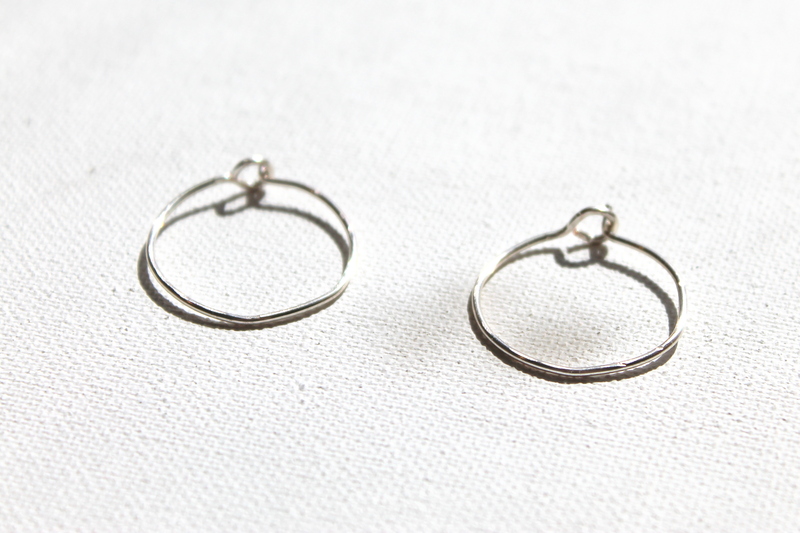 In it, you could use pre-made hoops. 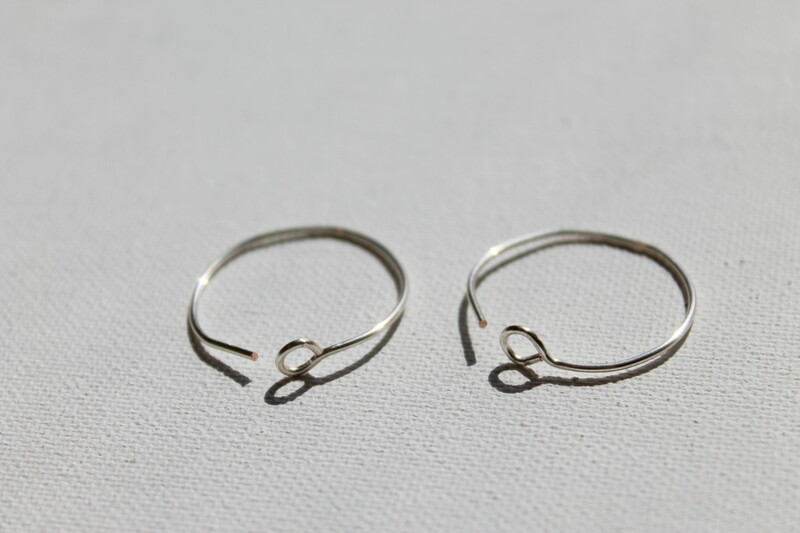 But, as you’re about to see, it’s really not difficult to make your own hoops! 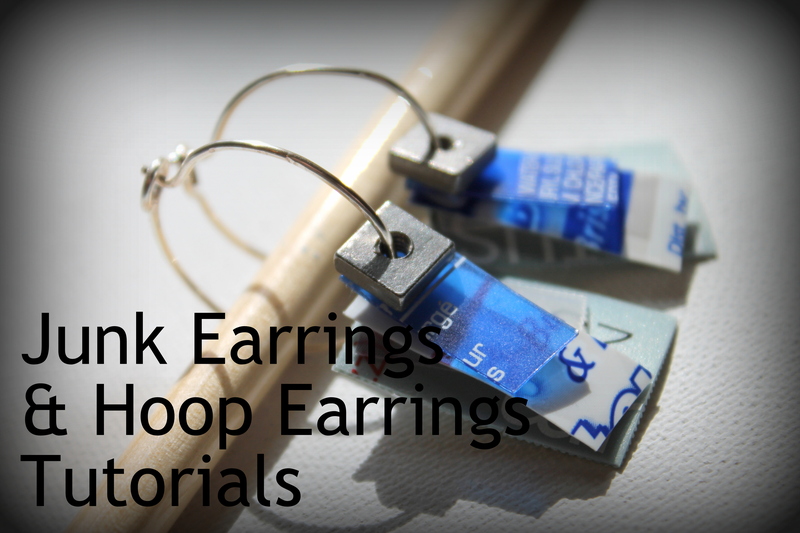 + Bonus Junk Earrings Tutorial! 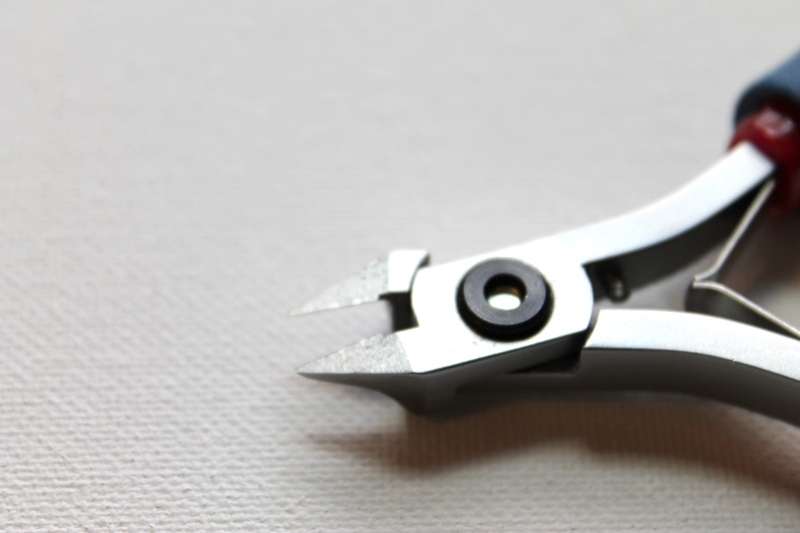 Wire cutters typically have 2 sides that cut in two different ways. This side makes a pinch cut. This side makes a flush cut. The side that is toward the wire that you are keeping or using in the design is the side I’m talking about here. So, in the photo, the LEFT side would have the flush cut and the RIGHT side would have the pinched cut. We want to start with a flush cut almost always when we’re starting a project. So it’s always a good idea to trim the end off with a flush cut. 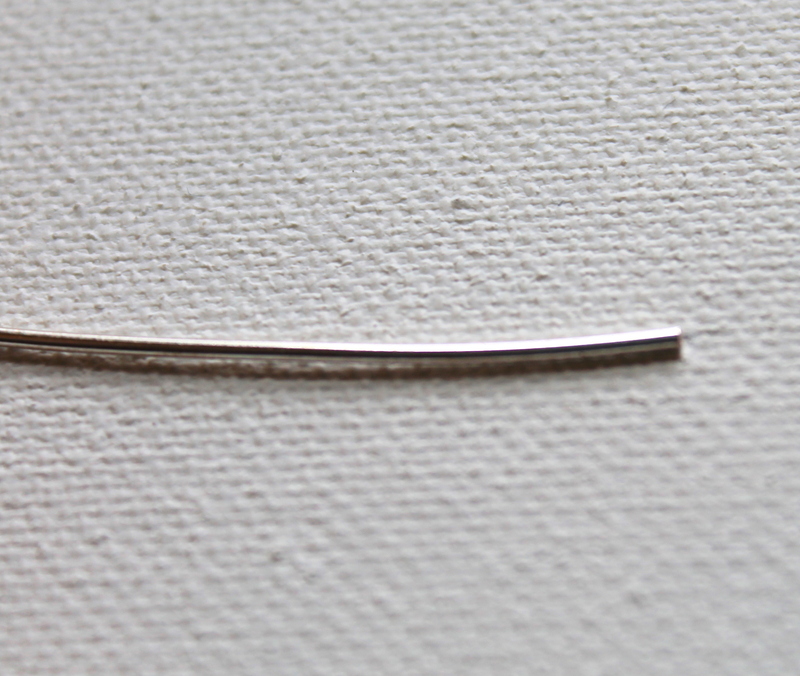 Cut 2 pieces of wire about 3 1/2″. Make sure to flush cut each side. 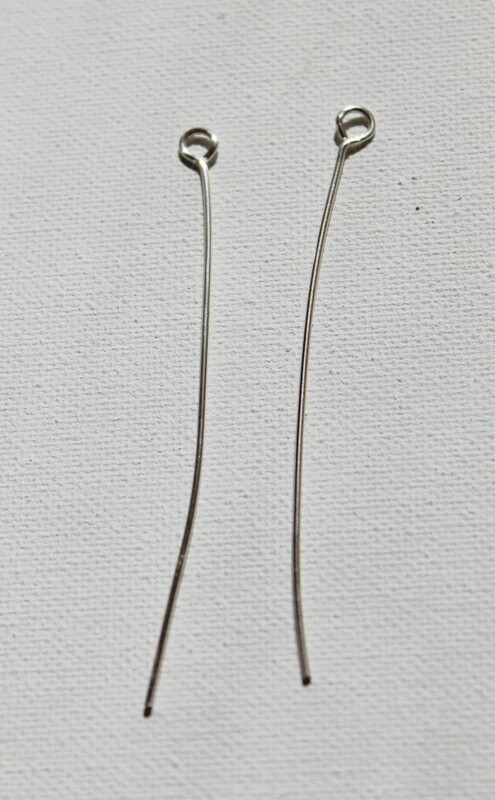 Make sure the 2 pieces of wire are the same length. It matters less what the actual length is than that they are the same. 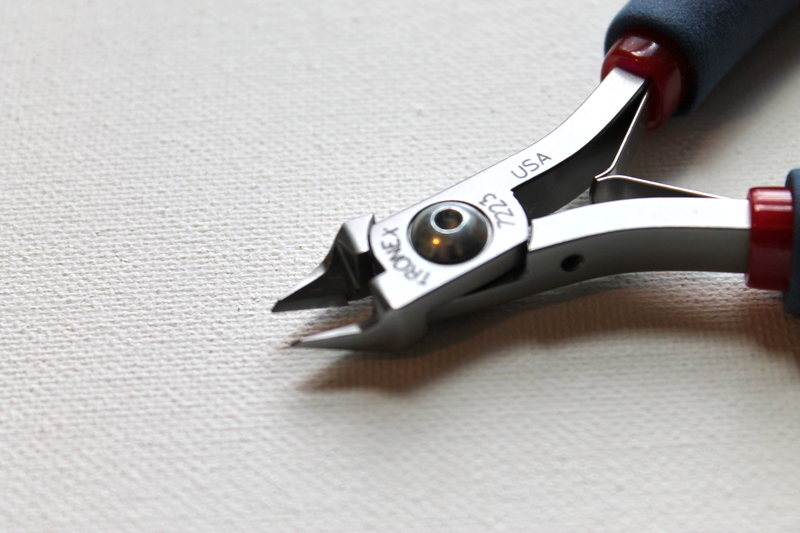 Using round nose pliers, make a loop in one side of each wire. Straighten the loops so they’re centered on the wire. 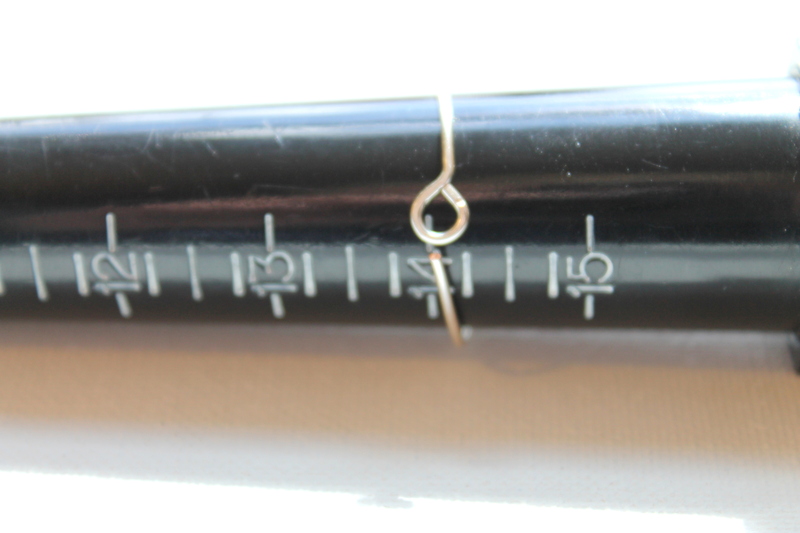 Wrap around your ring mandrel to give the hoop it’s hoop shape! See how the end of the wire just meets up withe loop. Hammer the hoop. Put the loop over the edge so not to damage it and hammer, leaving about 1/4″ – 1/2″ unhammered at the ends. If you don’t have supplies for hammering, it’s okay. Hammering helps the hoops keep their shape. 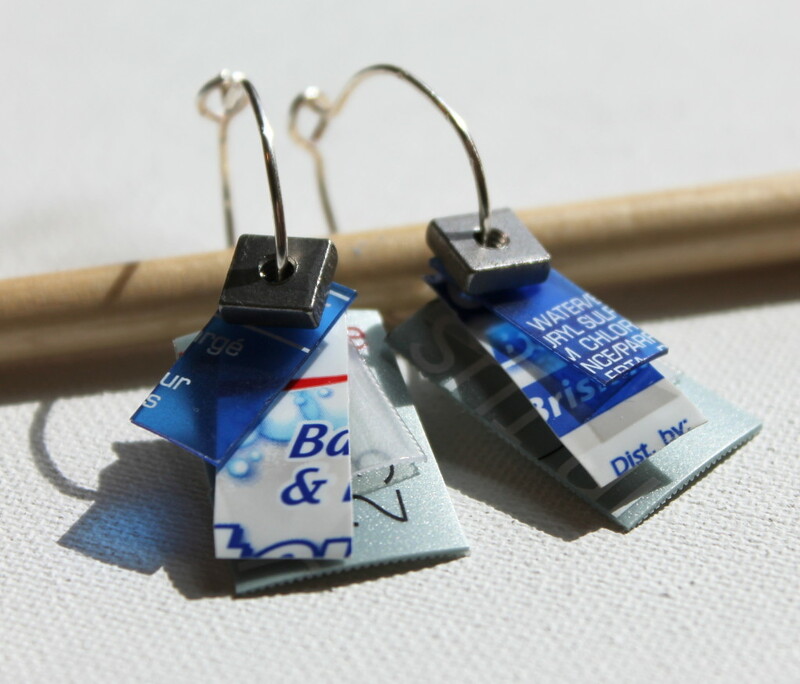 If you don’t, you’ll just have to be extra careful with your earrings. 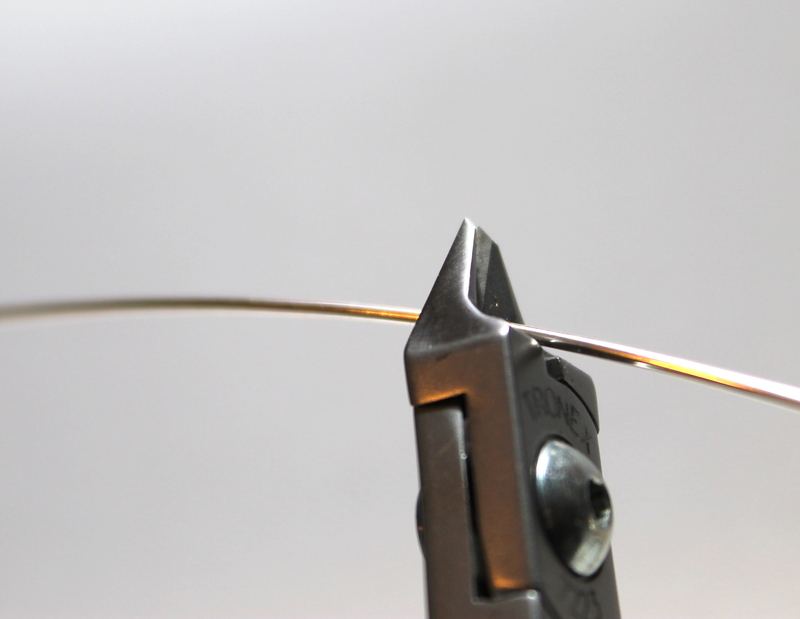 Use your pliers to bend back a tiny part of the wire to make a “catch” that will hook into the loop. 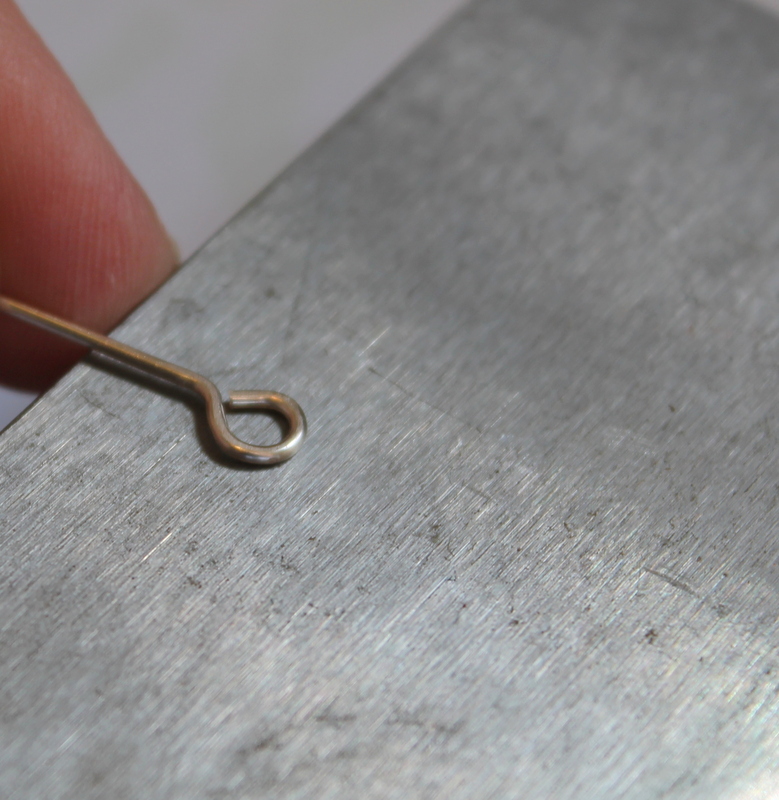 This bent up part will be about 1/8 of an inch. 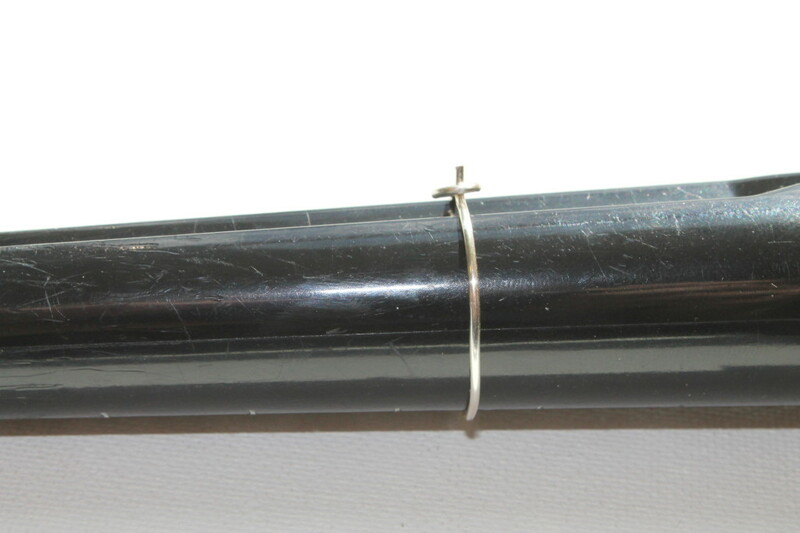 Hook the earrings and put them back on the ring mandrel. 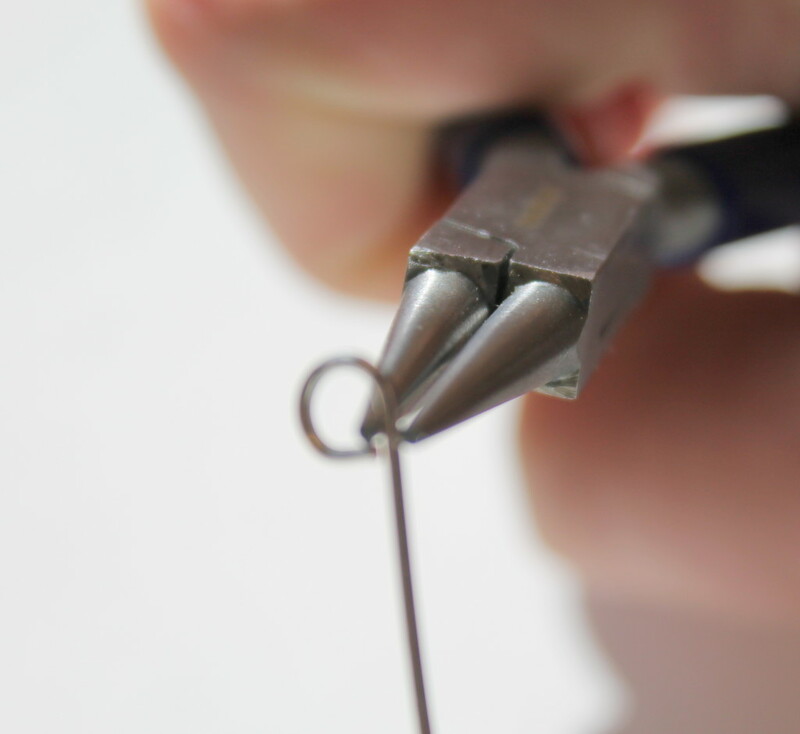 I like to push as far as I can because it will stretch the wire a little and make a more perfect circle. Be careful, though, and don’t let the earring come unlatched. 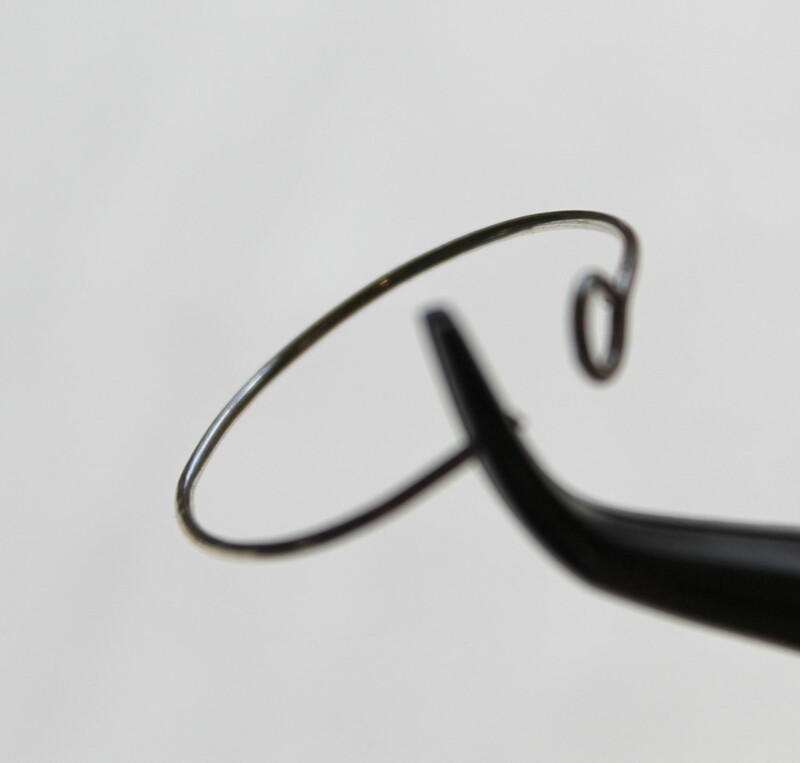 If you push it down too far and the latch comes unhooked, you will mess up the shape of your hoops. 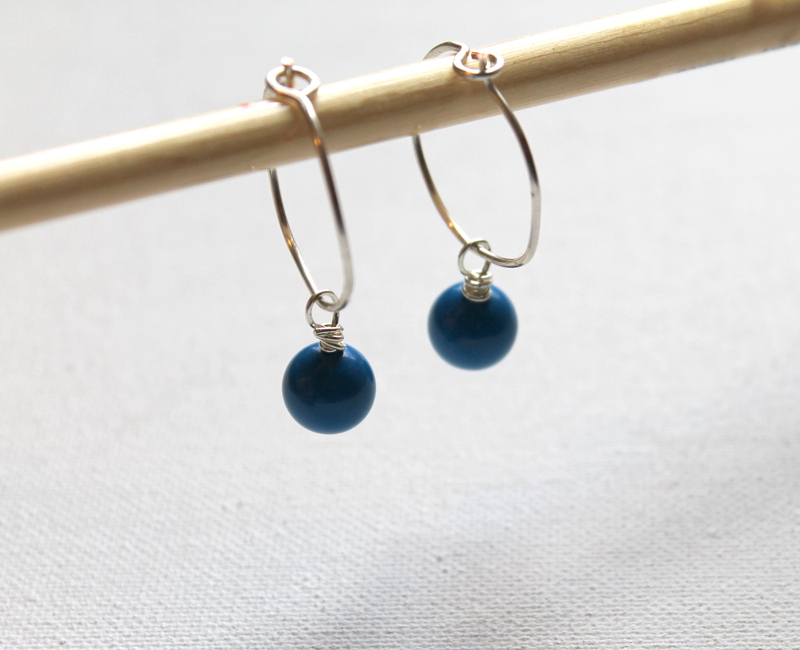 Add a bead dangle or charm to them. I actually had a customer tell me about these when they saw my hoop earrings with hardware on them. She told me she had been to France and these “junk” earrings (or she might have called them garbage earrings or trash earrings or something else) were all the rage. Basically, just put trash on a hoop and wear them. 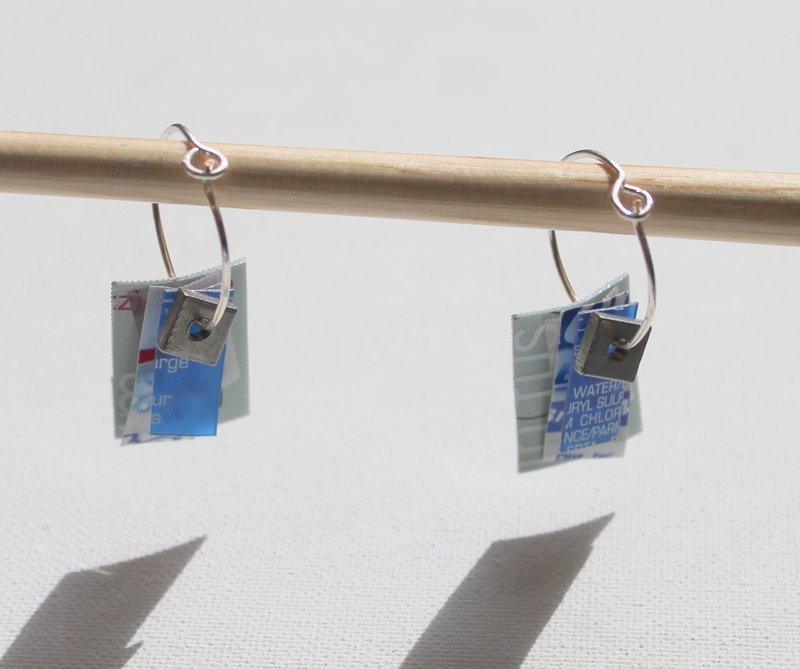 I didn’t actually see these earrings, but I decided to come up with my own version based upon what she told me. Go through your recycling bin and find plastic containers. I have a combination of shampoo/conditioner and other bottles and toothpaste tubes here. Plus washers. You’ll need strong scissors for the plastic bottles. Cut them into whatever shapes you like. 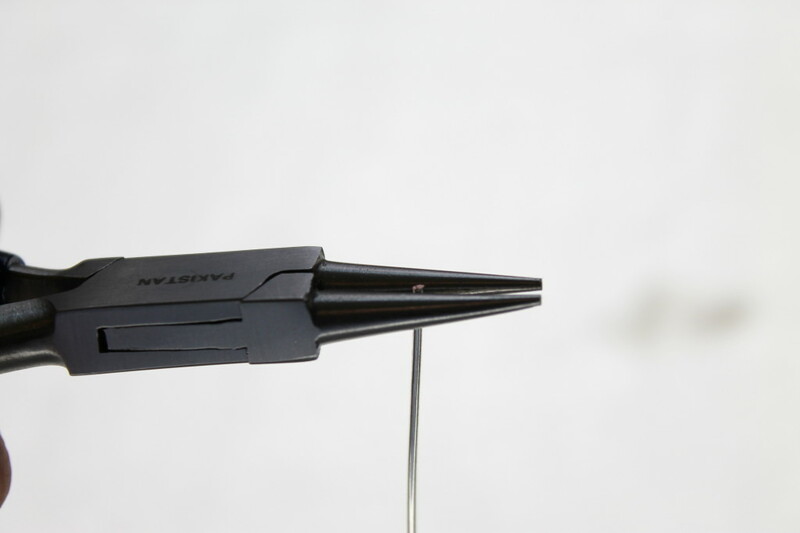 Use an awl to punch holes in the plastic pieces. Then just slide on your pieces in any order or way you like! 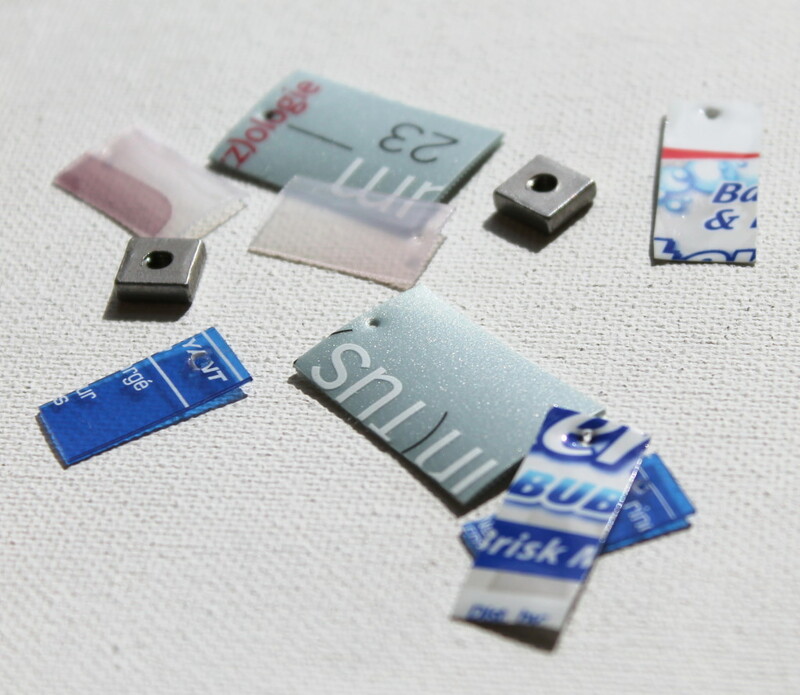 Paper – I would treat it to withstand the weather, though. Just remember that you’ll be wearing them on your ears, so don’t make them too heavy or they could pull at your ears, or worse, rip your earring holes! 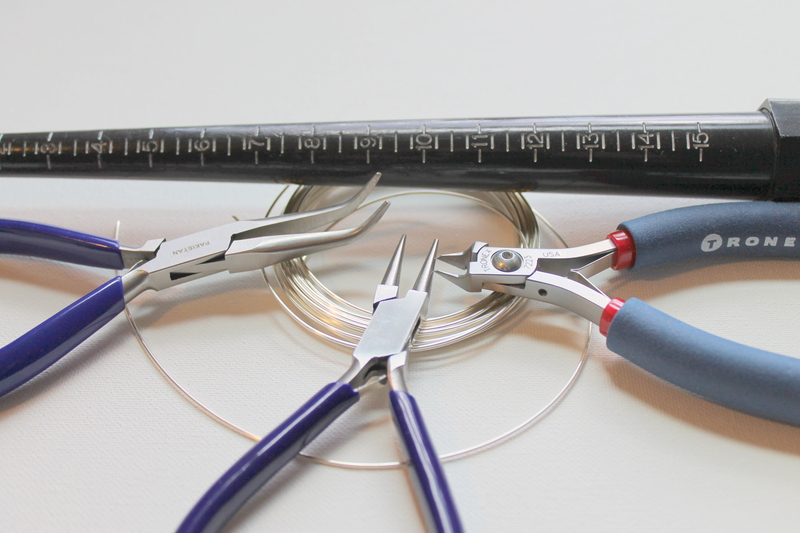 The hoop tutorial is in Wire Wrapping for Beginners along with 9 other earring tutorials plus bracelet, necklace and wire wrapped rings tutorials. 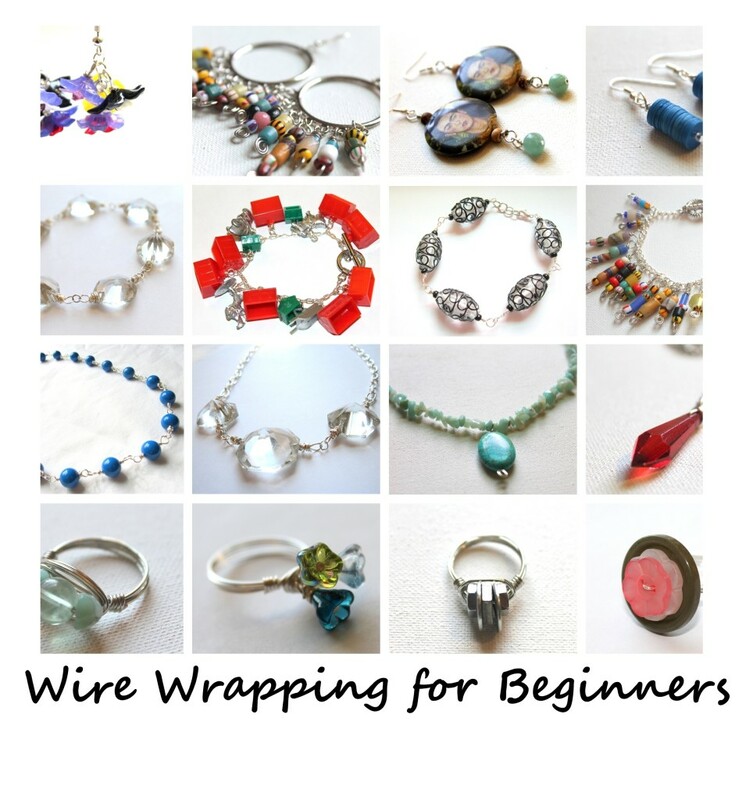 Find out more and purchase here: Wire Wrapping For Beginners. This entry was posted in Wire Wrapping and tagged craft, earrings, emerging creatively, hoop earrings, hoops, how to, jewelry, step-by-step, tutorials, wire working, wire wrapped, wire wrapping by Kimberlie. Bookmark the permalink.